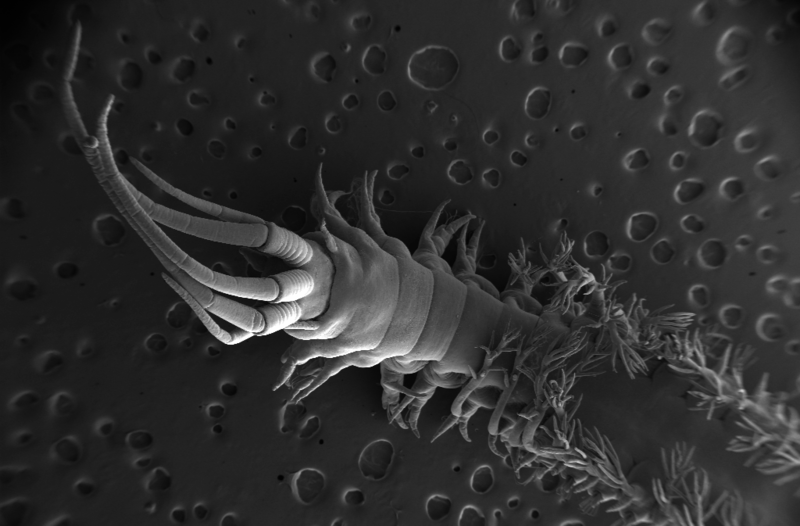 For the third time, we’re celebrating the wonderful world of worms with an International Polychaete Day! Polychaetes – bristle worms – are segmented worms, mainly marine, that live from the intertidal down to the abyssal zone. There’s more than 12 000 species of them world wide, and they can be active swimmers or live in burrows, be hunters, scavengers, carnivores or herbivores, filter feeders, or parasites – the group is old, and display a wide varity of body shapes, life modes and colours. The tradition started as a way to honour Kristian Fauchald’s memory, you can read more about that, and him, here: The 1st International Polychaete day (our blog post), and also in these two Storify collections of posts from all over the world on Twitter for the first year, and for the second. The day itself is on July 1st (Kristian’s birthday), but we’re starting early this year since that falls on a Saturday. As a University Museum, we are actively initiating, conducting and collaborating on research projects with colleagues from all over the world. Our scientific collections form the backbone of this research, and is constantly being added to – both by material we recive through collaboration with large scale programs such as the seabed mapping program MAREANO from Norwegian shelf areas and the collecting done by R/V Dr. Fritjof Nansen along the western coast of Africa, but also through our own crusies, and participation on research cruises such as the ones run by SponGES and the Sognefjorden project. Through the Norwegian Barcode of Life (NorBOL) project, we are working on building a comprehensive library of genetic barcodes: short, species specific DNA sequences. Polychaetes are a focus group here, and so far over 3000 specimens from close to 700 species have been submitted from Norwegian and Arctic waters. We have also barcoded over 1000 specimens of African polychaetes through our MIWA-project (Marine Invertebrates of Western Africa). A few weeks ago we hosted the (very!) 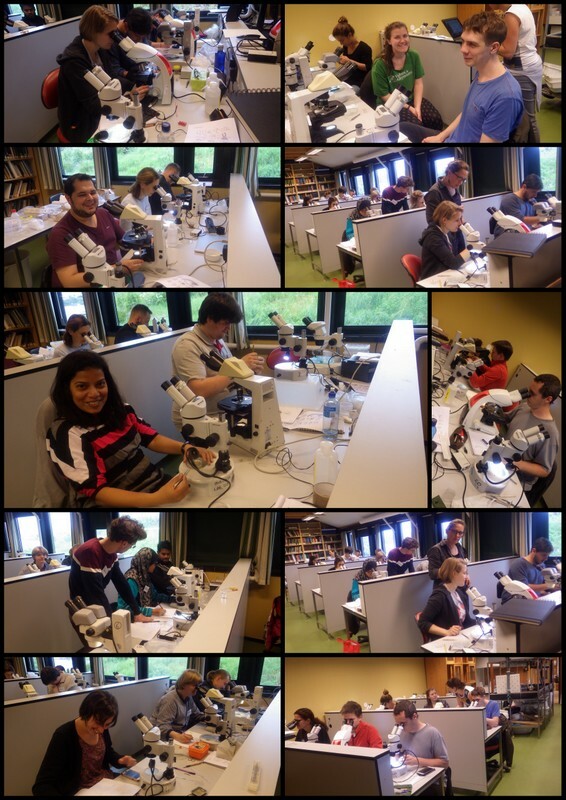 International Course on Annelid Systematics, Morphology and Evolution at the marine biological station in Espegrend outside Bergen, where close to 40 worm researchers from 12 different countries gathered to teach and learn more about annelids. 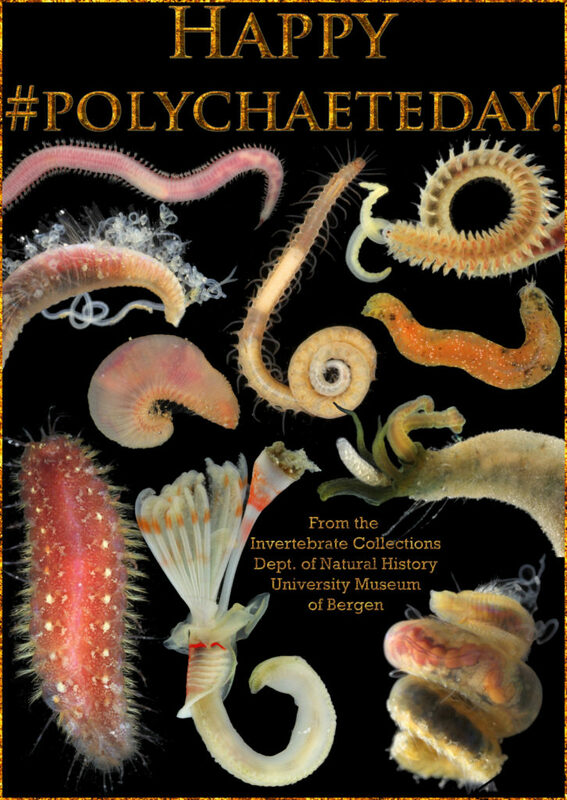 If you want to see what “polychaetologists” all over the world are coming up with to celebrate, you can click here to be taken to all Twitter posts tagged with #PolychaeteDay – feel free to contribute! This entry was posted in Current projects, Field work, Photography and tagged #InternationalPolychaeteDay, #PolychaeteDay, annelidacourse2017, bristle worms, polychaetes, worms on June 30, 2017 by katrine. Door #23: How far away can a quill worm get? Hyalinoecia tubicola from the North Sea (by K. Kongshavn). Quill worms belong to the annelid family Onuphidae and are called like that because of their unique tubes. The tubes are secreted by their inhabitants and are very light and rigid, resembling a quill, the basal part of a bird’s feather used for writing. Quill worms are epibenthic creatures capable of crawling on the surface of the sea floor carrying their tubes along. Their anterior feet are modified, strengthened and enlarged, bearing thick and stout bristles. These anterior feet are used for locomotion. Quill worms are widely distributed in the ocean inhabiting mostly slope depths down to 2000 m. Being large in body size (up to 10-20 cm long), they can be quite abundant in some areas. Meyer et al. (2016) reported Hyalinoecia artifex reaching up to 70 ind./m2 in the Baltimore Canyon at 400 m water depth. Another quill worm, H. tubicola, which is very common in Norwegian waters, reached up to 272 ind./m2 at 365 m offshore of Chesapeake Bay (Wigley & Emery 1967). Quill worms are believed to be motile scavengers. Baited monster camera experiments performed at 2000 m deep site in Baja California demonstrated that Hyalinoecia worms can accumulate in hundreds of specimens five hours after the bait (rotten fish) has been deployed (Dayton & Hessler 1972). Myer et al. (2016) analyzed the stable isotope content in Hyalinoecia artifex tissues confirming its secondary consumer status. Their results supported earlier observations on the gut content of the same species by Gaston (1987) showing the presence of the remains of various benthic invertebrates. Video 1. Quill worm Hyalinoecia tubicola moving inside its tube (by K. Kongshavn). Video 2. Quill worm Hyalinoecia tubicola protruding from the tube opening. Three antennae and a pair of palps are seen on the head. The first two pairs of feet are enlarged and strengthened (by K. Kongshavn). Dayton, P.K., Hessler, R.R., 1972. Role of biological disturbance in maintaining diversity in the deep sea. 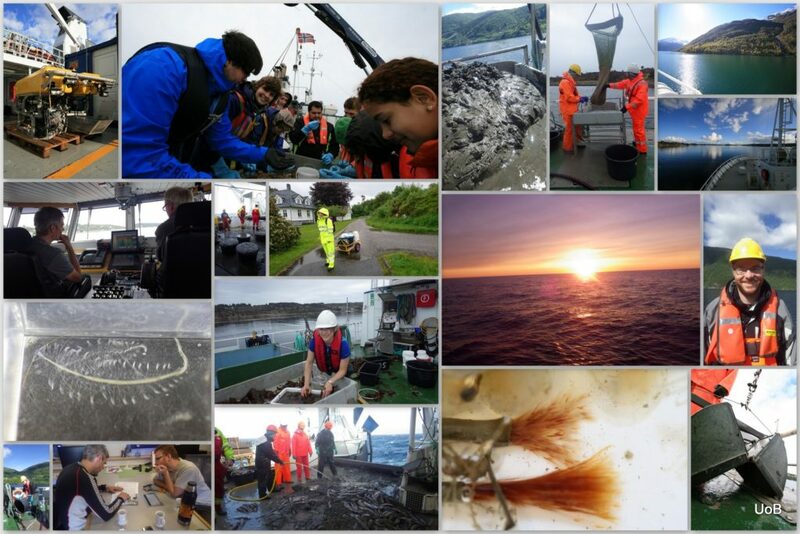 Deep-Sea Research 19: 199–208. Gaston, G.R. 1987. Benthic polychaeta of the Middle Atlantic Bight: feeding and distribution. Marine Ecology Progress Series 36: 251–262. Wigley, R.L., Emery, K.O. 1967. Benthic animals, particularly Hyalinoecia (Annelida) and Ophiomusium (Echinodermata), in sea-bottom photographs from the continental slope. In: Deep-Sea Photography. Hersey JB, ed., pp. 235–250. John Hopkins Press, Baltimore. This entry was posted in 2016 december calendar, Current projects, Field work, Photography, PolyNor and tagged bristle worms, Hyalinoecia tubicola, North Sea, scavenger, tube, video on December 23, 2016 by katrine. 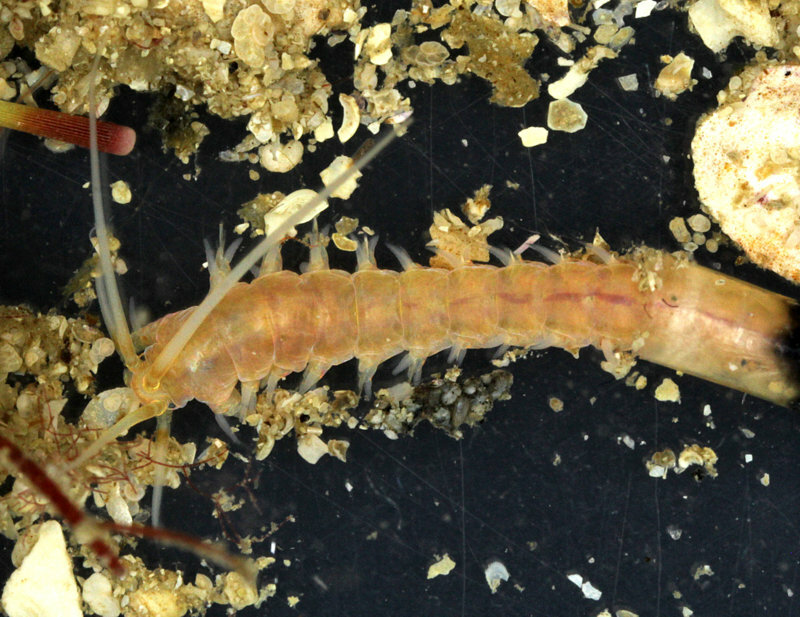 Pictured above is a cute polychaete (bristle worm) from the genus Diopatra. It was collected in Mauritania, and has been photographed using Scanning Electon Microscopy (SEM). Although I ended up describing 9 new species of Diopatra worms in my master’s thesis, many worms were still left undescribed, this is one of those. This entry was posted in 2015 december calendar, Current projects, Marine Biodiversity of West Africa, Photography, Student Projects and tagged bristle worms, Door #5, master thesis, MIWA, polychaeta, SEM, worms on December 5, 2015 by katrine.